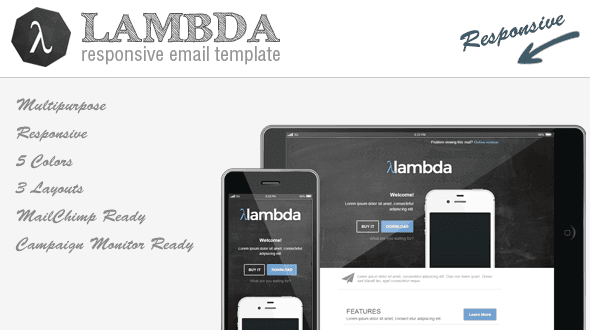 Lambda is a clean, responsive, multipurpose email template, ready to be used with MailChimp and Campaign Monitor as well as HTML. It’s mobile friendly and major clients compatible. Thanks to its flexible modules and a well commented code, it’s very easy to mix and create your own layout. Images on preview are not included in download file. The sizes are mentioned for each image.